Sunday, June 28 – Well, the weekend certainly didn’t go as I had planned and I’m really bummed out. 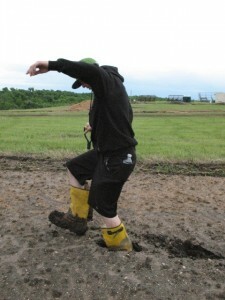 After it rained all day Friday, Friday night and Saturday, the track was a mud hole. Rory, Mandi and I spent Friday and Saturday watching it rain and did what we could to get ready indoors. It ended up being relaxing and a well-needed break. By Saturday evening, I was starting to have flash backs of 2007 when I blew a motor in the first moto. They ended up calling the race that year because the track was so wet. Sunday morning, we woke up to a blue sky and sunshine. It was a huge relief but I knew the track was still going to be a mess the first part of the day. After the first practice, I made the decision to race my practice bike. I wasn’t willing to destroy my race bike knowing I needed to race it again in only six days. The second practice was timed and after losing my mud-packed rear fender, I logged the second fastest lap time; giving me the second gate pick for the first moto. I picked the far inside gate and ended up with about a fourth place start. I got shuffled back to sixth after not being aggressive enough in the first few corners. I was hesitant and thought it was going to be muddier than it actually was. I stayed between fifth and seventh for the first half of the race. I was making a lot of mistakes and had a hard time finding a rhythm. At about eighteen minutes into the moto, my engine locked up and I was done. We think a rock busted a hole in my radiator coolant line when I slid out in a corner a few laps earlier. I lost all my coolant and destroyed my motor. I rushed back to the trailer and started stripping my bike to swap motors. We only had an hour and a half before we needed to line up for the second moto. Rory, myself, my dad, along with our friends Brian and Joel, all worked non-stop and got the bike put back together just in time. I don’t think I sat down once. I was feeling pretty confident knowing I had a good motor and wanted redemption. I wanted to win for the guys that worked so hard swapping my motor and knew I could. After DNFing the first moto, I ended up with 33rd gate pick. I knew it wasn’t going to be easy to get a good start but didn’t have much of a choice. I put my head down and launched out of the gate. I looked to the inside once, knowing that all the top guys would be coming in to the first corner hot. I didn’t let off the gas and just missed getting the holeshot. The first two laps I was in second place and was having a hard time getting comfortable with my new motor. It made me a little nervous but by the end of the second lap, I was feeling really strong and started to close in on the leader. Halfway through the third lap, I hit neutral on the face of a double. I bailed off the bike, went over the handlebars and hit the ground hard. I jumped up, got back on the bike and tried to get back into the race but my front end was too twisted. I pulled over and kicked on my wheel and hit my handlebars, trying to straighten them out but couldn’t. I rode over to the mechanic’s area and had Rory try kicking my front wheel but there was no hope. With my head hanging low, I rode back to the trailer and called it a day. I think the worst part about the weekend was not finishing the second moto. The guys worked so hard to get my bike ready after blowing up in the first moto. It’s certainly not the way I wanted to start my season but its racing and sometimes things go wrong. I’m trying to put the weekend behind me and focus on the next race. Red Bud is an amazing venue and always has been one of my favorite tracks. I’m hoping to get my career-first top-ten finish there. I know it’s going to be tough. The talent is deep in the 250 class but I’m confident in my bike and my fitness. I need to ride smart and hopefully it will come to me. I need to send out a huge “thanks” to my mechanic, Rory. He’s been working so hard the past month getting everything ready and had a long, hard day today. I also need to thank all of my sponsors. They make it possible for me to do what I love to do everyday. I feel really fortunate to be in the position that I’m in. Even after having a rough day like today, I can’t imagine doing anything else. Helmet and goggles are ready! Rory, my dad, Brian, Joel and I swapping motors. On the third lap of moto two, while running in second, Tucker hit neutral and went over the bars. Uninjured, he quickly got back on the bike but was unable to continue. The whole front end of the bike is twisted. He nearly got the holeshot with a 33 gate pick after DNFing the first moto. He was riding really strong and was closing in on the leader. The bike had a brand new motor in it after his motor blew up in moto one. Tucker, Rory, Kirk, Joel and Brian worked down to the last minute to get the bike ready for the second moto. Tucker is really disappointed in his results but most of all is bummed out that he didn’t get the chance to put in a solid race. A little over half way into moto one, Tucker’s motor blew up. He was running between sixth and seventh at the time. 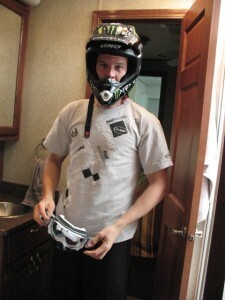 Rory, Kirk, Tucker, along with our good friends, Brian and Joel are all busy rebuilding his bike to get ready for moto two. Listen to the Morden Mudder Live! 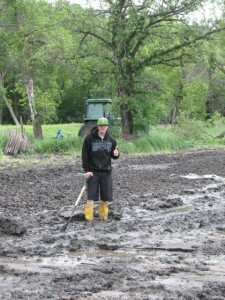 June 27 – The bad news is, it looks like it’s going to be another Morden mudder! It’s been raining since yesterday afternoon and it is a mess. They canceled amateur racing today. The sun has been shining off and on this afternoon. Hopefully it will help dry the track but I’m pretty confident it’s going to be a sloppy race! 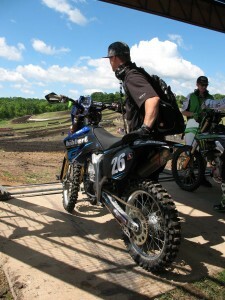 The good news is, you can listen to the races live online at www.mxplive.streamcanada.com. The broadcast starts at noon EST. Mandi is busy grilling dinner, then we’re off to a bible study with Team Faith. I’ll have Mandi post updates tomorrow. Thanks for checking in! 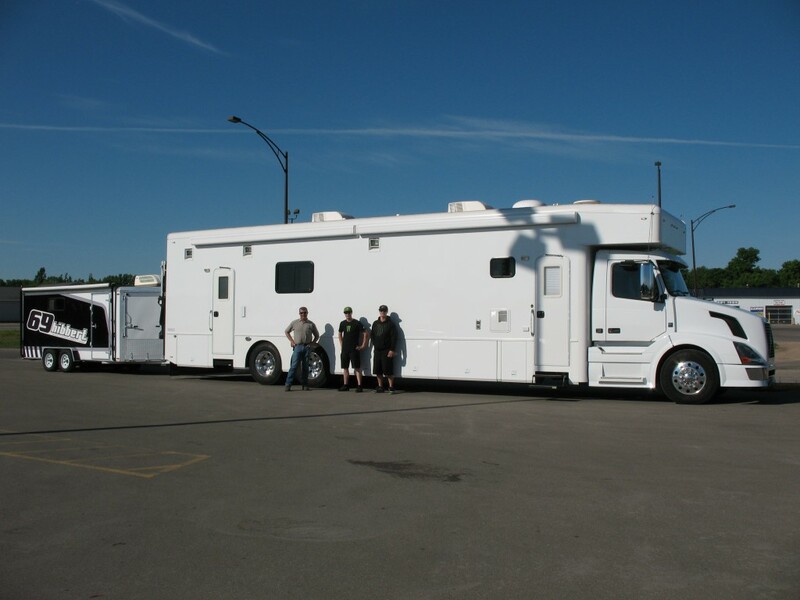 Friday, June 26 – We are officially on our way to visit our friendly northern neighbor – Canada! Bring on the Tim Hortons, Coffee Crisp candy bars, white pants and ketchup potato chips…what’s not to love? I’m not sure if I’ll be able to get online to update you this weekend while we’re at the races. 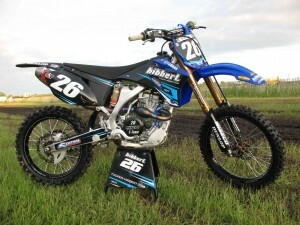 Keep posted to www.cmrcracing.com and www.mxpmag.com. June 23, 2009 – Hello everyone and welcome to my blog! I’m still trying to figure out how to use this thing but I created it for a way to update you more often. I plan on posting updates during the week so you can get an inside look on my riding, training and regular everyday activities. Hopefully I can keep you updated from the races as well. I’m going wide-open this week trying to get ready for my first national this weekend in Canada. I don’t know how it gets so crazy before the first race of the season but it happens every year. No matter how well you plan and organize, it’s always a crazy week! Bring on the Monster Energy!! It’s my dad’s birthday today, “Happy Birthday Dad! Good thing you don’t look or act as old as you really are. Ha!” Have a great week and hopefully I’ll see you at the races!